It’s obvious this Royals draft is quite different from drafts in the past as they loaded up with college pitching at the front of the draft. They are telling us that wasn’t the plan but if you watch as many Royals minor league games as I do then you already know how poor the pitching is in the system, especially starting pitching. There had to be some draft for need combined with the way the board laid out to take this many pitchers overall. The best case scenario a couple of these guys blaze through the minors and join Jake Junis and Brad Keller along with a few of the position players that are there or close to stagger out wins in preparation for the Low-A crew that hopes to be there later. A solid defensive catcher who had a better season with the bat, hitting .280. The reality is teams need a quite a few catchers in Arizona and spread around the rookie levels and Hancock fills that need as someone with solid receiving skills and a professional approach to game calling. With a strong arm, Hancock can control the running game (48%) which can help developing young pitchers. Athletic lefty who works 88-91 MPH but touches as high as 95 MPH in short spurts. Hofstra Website – Cillis, who was a semifinalist for the John Olerud Award as the top two-way player in the nation, earned first team All-Colonial Athletic Association accolades for the second consecutive season at the utility position after posting a 2-4 record on the mound with one save, a 3.66 ERA, and 65 strikeouts in 66 1/3 innings pitched. He also batted .234 with seven doubles, five home runs, and 15 RBIs in 36 games played. Analysis – Older lefty org reliever that might be able to become more by concentrating on just pitching. A top 150 player on most predraft lists, Madden is a University of Texas commit and would be an extremely difficult get for the Royals. The Royals surprised last year with the signing of Tylor Fischer away from Texas A&M meaning there is a small chance they can get him, but it’s not likely to be known prior to the end of Singer and Kowar’s season. 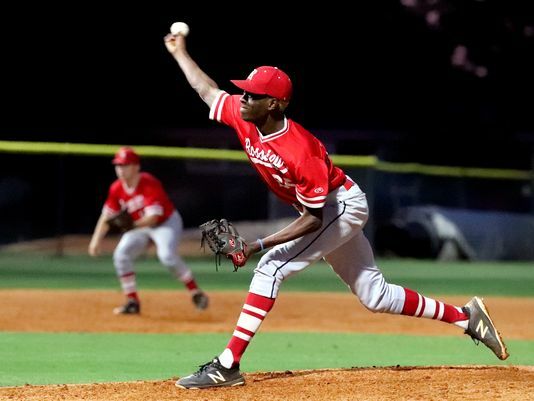 Via Perfect Game – The senior ace of a preseason top 5 team, Cypress Ranch High School, Madden fits the mold of a prototypical starting pitching prospect with an advanced repertoire and tremendous stature. The size and strength allow him to pound the strike zone with all three pitches and he projects as a starter moving forward. His higher arm slot creates heavy downhill plane on his fastball that lives in the low-90s and has reportedly been up to 95-96 MPH range this spring. The fastball tunnels effectively with both of his off-speed pitches, an impressive tight slider and a plus changeup that ranks as one of the best in the class. Madden has tremendous pitchability and offers significant upside as there is plenty of room for growth with his arm speed and size. Madden has been very effective this spring with a 1.00 ERA and 95 strikeouts in 61 innings pitched for the Mustangs. Analysis – The best of the high school bunch is likely to go to Texas. A tall corner infielder with a little projection still not quite 21 years of age, perhaps he comes more into a power stroke as he ages some. Very similar in tools as a long and lean pitcher to Malcolm Van Buren, a pitcher the Royals signed as a 31st round pick away from North Carolina State in 2016. As Van Buren has recovered from Tommy John and starting to turn heads, this long, lean and athletic pitcher has a similar body and athleticism. Via Prep Baseball Report – 6-foot-4, 160-pound, RHP is one of the top uncommitted pitchers in the state and has drawn a ton of attention since his 2016 Future Games performance, long and loose movements are athletic and provide some of the highest projectability in the class, good tempo and a higher leg lift create good momentum down into a long stride that remains in line, long and loose arm action comes through a high ¾ slot with some real quickness, finishes over his front leg and toward the 1B side. Fastball is heavy with some hard run, curveball is a swing-and-miss pitch with powerful 11/5 shape, changeup showed run and fade through the zone, was able to throw all three pitches for strikes. 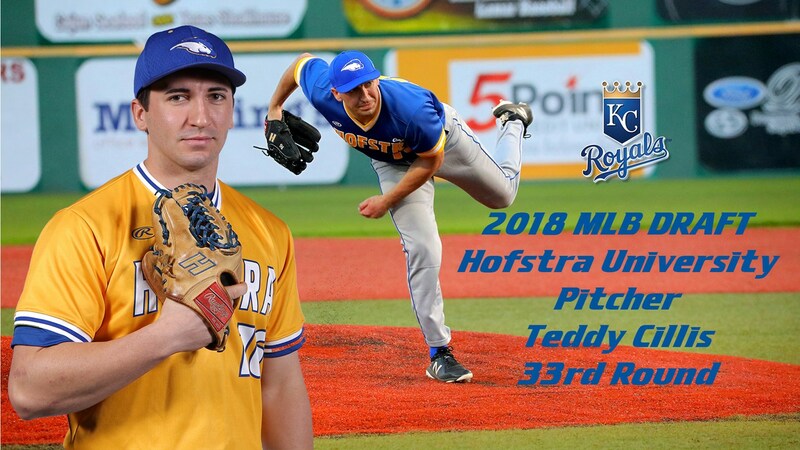 Analysis – Tennessee has lost out on some high school draftees recently perhaps this is one that the Royals snag. Named The Georgia High School Player of the Year by The Augusta Chronicle Hollie influences the game with speed and raw power. A short swing with average bat speed has multiple tools with upper 80’s off the mound and good running speed. 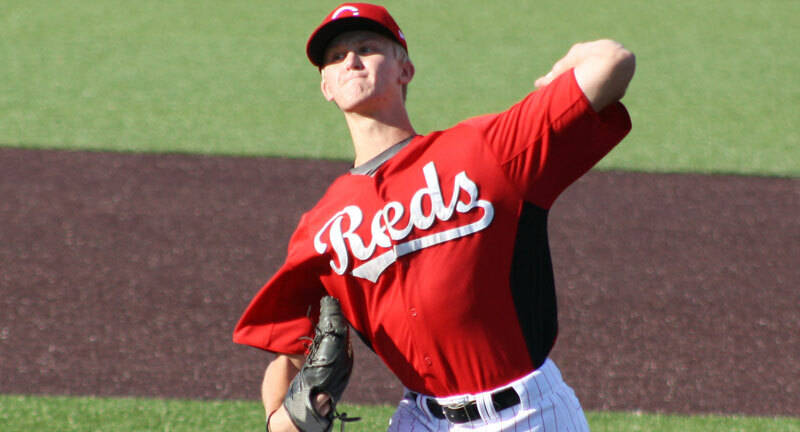 Via Baseball America – Listed at 6-foot-3, 210 pounds, Hollie performed well against some of the best competition in the 2018 prep class over the summer, including an East Coast Pro appearance where he barreled a pitch from Ohio righthander Austin Becker. Hollie sets up with his hands slightly below his shoulders and transfers his weight back into his load with a toe tap before driving the ball with a downhill bat path and solid bat speed. 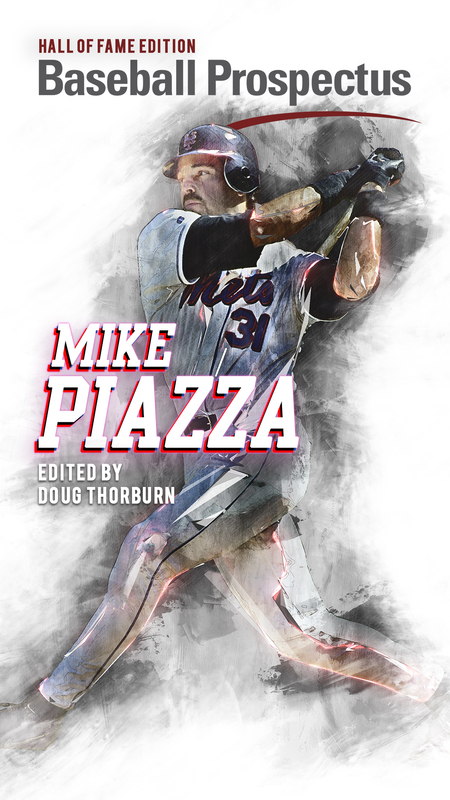 With a few changes to his setup–including a more level or uphill bat path–Hollie could unlock more power with a chance for above-average raw power because of his present physicality. 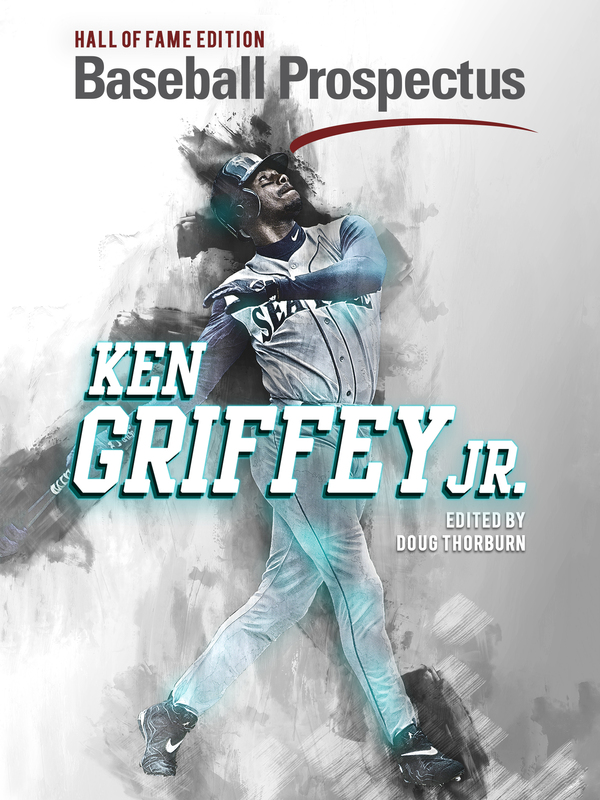 There is some current stiffness to his game and he profiles best as a corner outfielder. Analysis – Plenty of tools to build from here. A Columbia, MO product, Robertson like the college pitchers chosen early in the draft fits a similar body mold as a tall and lean pitcher. Coming from a 3/4 arm slot the fastball currently works in the 88-90 mph range but given the weight and muscle he could put on one could project with ease the fastball ticking up. From the same slot, Robertson tosses a slider with good late movement in the upper 70’s that despite his youth the lefty shows an ability to manipulate the shape of the pitch, giving him a quality second pitch that appears to be a future average or better breaking ball. Analysis – A younger model of the pitchers they just drafted. Attended the Royals pre-draft camp in KC giving the Royals a decent shot of signing him away from his Mizzou commitment. Coached by likely future Hall of Famer Billy Wagner, Hackenberg is a Clemson who was ranked inside the Perfect Game Top 200 and was well liked by a number of scouting sites. A project in receiving but the short stroke and raw power makes for a nice piece of clay to mold. The failure rate in prep catchers though is extremely high and the likelihood of signing low could mean it’s best to work on signing one of the other prep players. Via Perfect Game – There is no question about Hackenberg’s arm strength, which rivals any catcher in the 2018 class, and ability to control the running game, as he his capable of pop times in the 1.7s. The concerns are about the big and muscular receivers ability to shift and block, especially if he were to get any bigger. Offensively, there are few major questions about the right-handed hitter. Hackenberg has a notably short swing for someone his size, which enables him to get to his power frequently and keep his contact rates high. Via Prep Baseball Report – Athletic frame that is strong. Behind the plate, good receiver with quiet hands presents a good strike and doesn’t block umpire’s view of the pitch with his taller frame. Sits down and kicks a leg out to get lower. Very quick, quiet exchange, smooth in doing so, between inning pop times were 1.94-2.00 with accuracy, throw velocity was 80. Shorts arm action from a high three-quarters arm slot with a lot of carry. Very quick release on snap throws to other bags. At the plate, short leg kick stride, short swing with extension through the ball. Good bat speed with strength behind it uses the whole field, doubled to right at a key point in the game. Analysis – Difficult sign but a short stroke with plus power is a nice start. Just over 18 years old but exhibits a big body from an over the top motion. The pitcher stated he wanted 5th to 7th round money to sign which is anywhere from $200-400k to get him out of his commitment to Washington State. Via Perfect Game – A bit of a pop-up arm from Utah, Bush fits the mold of a projection lefty whose best days are likely ahead of him. His delivery and arm action both work well, and he’s a pretty athletic prospect for his size. He gets up to 91 mph with his fastball now, showing consistently increasing velocity over the past couple of years. He’s raw in terms of his off-speed stuff, but does show the ability to spin a softer-breaking curveball right now, and scouts are optimistic that it’ll turn into an average pitch for him long term. 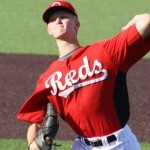 Analysis – A raw pitcher project might be better to let him develop in college.